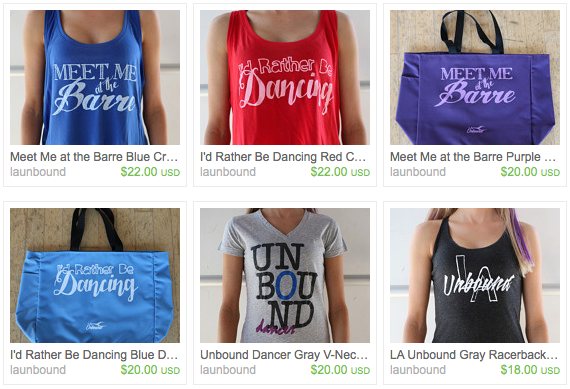 We’re so excited to launch our brand new Etsy store featuring our new line of LA Unbound merchandise, including tshirts, tank tops, and dance bags. All products will also be available to purchase at our upcoming performances on Saturday, May 16th at the El Portal Theatre in North Hollywood. Please take a moment to check it out and let us know what you like and what products you’d like to see in the future!